The last La Colonia Teen S.T.E.M. Club night focused on dissection. 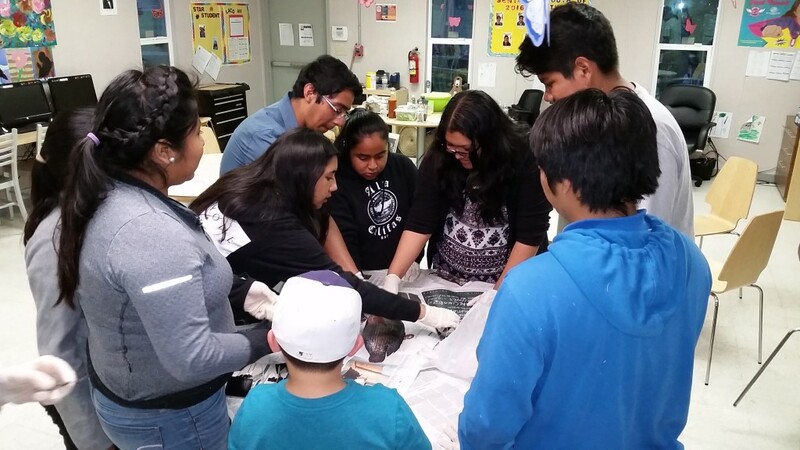 Mrs. Andi, our lead volunteer for S.T.E.M., brought in a large Tilapia for the teens to dissect. The purpose of the activity was to recognize various structures of fish and what their functions are. 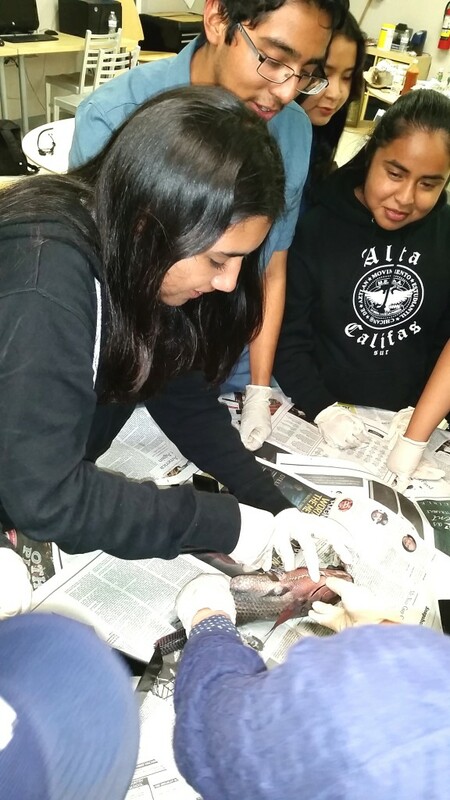 After dissection, the teens then used magnifying lenses attached to their smart phones to take a deeper look into some of the fishes organs, such as the eyeballs, heart and scales.